Amid concern about a shortage in RON95 gasoline supply in recent days, some fuel stations in Ho Chi Minh City said that they have heard information about a possible shortage in RON95 gasoline supply and will be likely to reduce in the imported volume but the current imported volume of RON95 gasoline is still enough to serve customers. Gasoline wholesalers said that concern over a shortage of RON95 gasoline is real as Nghi Son oil refinery is experiencing technical issues. However, supply is still ensured. Representative of the city’s Department of Industry and Trade affirmed that gasoline supply remains plentiful in the city. The department has not been notified of any shortage in gasoline supply from gasoline wholesalers or fuel stations. At the fuel station 49 of the Petrolimex in Luy Ban Bich Street in Tan Phu District, all trading activities happened normally. 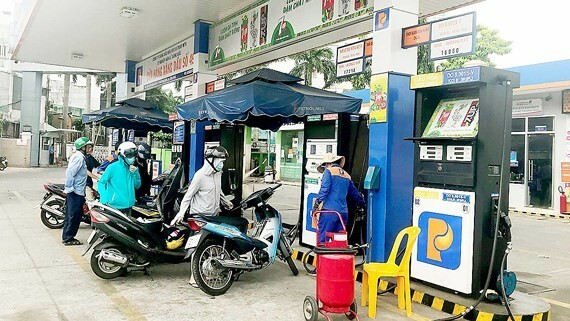 The representative of this station said that in the brief meeting with Petrolimex Saigon, fuel stations had been notified that there would be a shortage in RON95 gasoline supply and Petrolimex Saigon asked fuel stations to import sufficient volume of gasoline for consumption during a day. Previously, the average volume of RON95 gasoline imported a day was about 32 cubic meters. Now, it has dropped to 16 cubic meters per day, or 50 percent. Despite reducing supply, it is still enough to serve customers. Similarly, representative of Comeco fuel station at the corner of Le Hong Phong and Ly Thai To streets in District 10 said that there was information that Nghi Son oil refinery stops gasoline supply. However, until now, the refinery still provides enough gasoline for fuel agencies. It is said that the refinery imported gasoline from other firms to make up a loss in production. 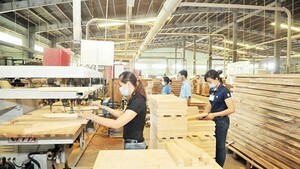 Deputy CEO of Petrolimex Saigon Tran Minh Ha said that there was concern over a crunch in RON95 gasoline supply but mainly occurred among firms importing gasoline from Nghi Son oil refinery. The refinery currently supplies more than 50 percent of total gasoline volume of gasoline wholesalers. However, in the past few days, supply was temporarily interrupted because of technical issues. Fortunately, the refinery has resumed supply of oil normally and is expected to continue to supply gasoline in the next two days. Petrolimex Saigon refused to give comment on information about a shortage in RON95 gasoline supply but affirmed that the company will always ensure gasoline supply to meet consumers’ demand. In related news, before adjusting fuel prices on March 18, the fuel price stabilization fund at Petrolimex was VND655 billion, a half lower than that in the beginning of March. Another Southern fuel wholesaler also said that its price stabilization fund was minus VND300 billion and it had to use its capital to make up the loss. Firms have had to buy gasoline and oil at high prices but the retail prices was continuously kept unchanged since the beginning of this year. The price adjustment on March 18 followed up, causing the balance of the fund to reduce drastically. Clearly, this affects badly to business and operation of fuel traders. This is also the reason that made people think that a shortage in RON95 gasoline supply is a scheme of gasoline wholesalers to hold the commodity to ask for price hike. Meanwhile, the ministries of Finance and Industry and Trade explained that they allowed disbursement of the fuel price stabilization fund to limit negative impacts of fuel price rise, controlling inflation. In addition, as power prices increased as of March 20, their movement is expected to help to lower input expenses of manufacturing and trading firms as well as ease burden for people.